Wyman currently serves as the IBM Software Client Leader for Northeast Florida accounts, providing the leadership and direction needed to drive cross-brand/cross-industry business solutions in key strategic solution areas such as Cloud, Mobile, Social, Analytics, Optimization and Big Data to name a few. He is a highly effective business leader with 25 years of consultative sales experience. An innovative, goal driven, commission sales leader with an infectious positive outlook and attitude, Winbush has extensive experience coaching teams to excel in complex selling environments that include multiple routes to market in market segments from Fortune 50 enterprises to "new business" start-ups. His commitment to excellence drives him to not only leave the businesses in a better position but he also consistently leaves the people he leads better positioned to achieve their life's goals as well. He served 30 years in the US Navy (7 active w/ 23 reserves) retiring as a Captain (0-6). Responsibilities in the Navy included that of Commanding Officer of two units, pilot, flight instructor, department head, Senior Leadership Course Instructor and Returning Warrior Workshop lecturer/Keynote Speaker. Wyman also serves as an Elder and the Men's Ministry Leader at his church and has been certified as a Life Coach Practitioner by the Certified Coaches Federation (CCF). He has served in numerous leadership roles in the greater Jacksonville community including 10 years as a Florida State College at Jacksonville Trustee (w/2yrs as Chairman). He is currently serving as a member of the Board of Directors at The Jacksonville Electric Authority (JEA), which is the 7th largest Municipal Utility in the nation. 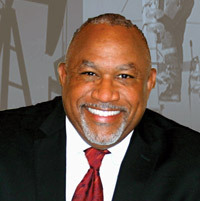 Melvin D. Williams was named senior vice president of AGL Resources (NYSE: GAS) and president of Nicor Gas, the largest natural gas provider in Illinois, in May 2015. He is responsible for ensuring that natural gas is delivered safely to more than 2.2 million homes and businesses in 646 northern Illinois communities. With AGL Resources for more than 25 years, Williams has a depth of operations, new business development and regulatory experience. He previously served as senior vice president of planning and business services, and also held the position of vice president and general manager for Atlanta Gas Light and Florida City Gas. 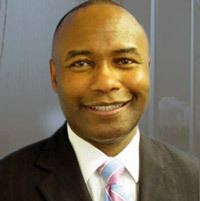 In that role, Williams oversaw field operations in Port St. Lucie, Brevard and Hialeah, Fla., and much of the Atlanta Gas Light territory in Georgia outside of metro Atlanta. Williams is on the board of the Boys & Girls Club of Metro Atlanta and AGL Resources Foundation and is a member of the American Association of Blacks in Energy. He actively supports numerous community and youth organizations in both Georgia and Florida. 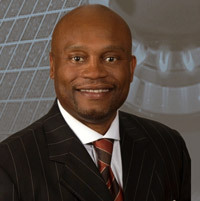 Williams received a bachelor's degree in business administration from Savannah State University in 1987. Kevon Makell, Chief Executive Officer, SEWW Energy Inc.
Kevon Makell is the founder and Chief Executive Officer at SEWW Energy Inc., where he leads the company’s operations to develop and deliver sustainable, smart macro and micro-grid solutions globally. Mr. Makell has over 30 years of experience in the energy industry: the majority with FirstEnergy (a Fortune 500 Utility), managing utility planning, governmental affairs, operations, new ventures, alternative energy, and regulatory compliance. Prior to starting SEWW Energy he was the Vice President & General Manager at PureNERGY Renewables Ltd, a sustainable energy technology company featuring hybrid Renewable Energy solutions for island nations, ranging from 1.5 kilowatts to 1 megawatt. It was through Mr. Makell’s personal experience living on the island of Bermuda that the vision for SEWW Energy was born. Island nations have been the most significantly impacted by global climate change and severe weather conditions, resulting in energy reliability issues. When Kevon was faced with these issues, he leveraged his vast experience in Renewable Energy, Energy Efficiency, Energy Consulting, Energy Services and Electric Utility to build a smart micro-grid islanded solution to power his own home and provide energy security for him and his family. It was through this effort that he realized he wanted to provide similar solutions for other, less fortunate populations that suffer from energy access challenges. Throughout his career Mr. Makell has successfully completed both large scale ($6.4B) and small scale energy projects throughout the United States; and Internationally in Bermuda, the Caribbean, Latin America and Africa. He earned his Bachelor of Science degree in Business Management with an emphasis in engineering from Bucknell University in Lewisburg, PA.